this morning mr. b and i went to the master gardener's & wedowee garden club plant sale. 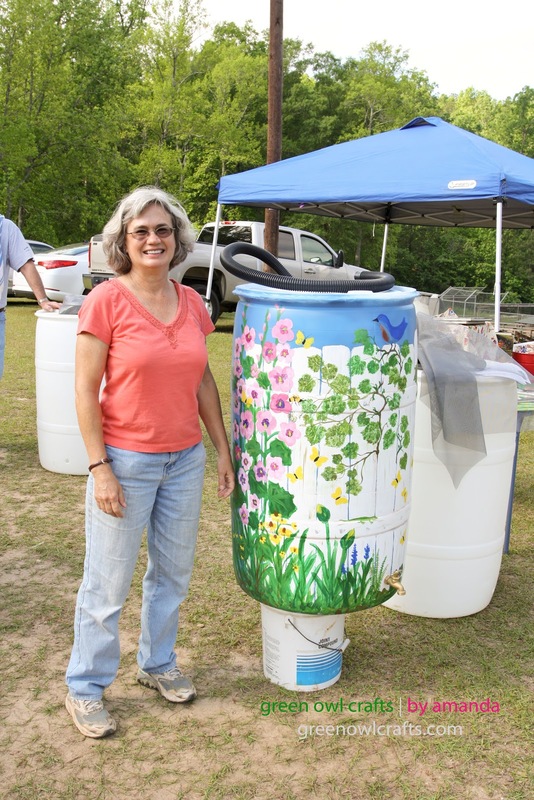 the upper tallapoosa river clean water partnership was also there selling rain barrels. now after i purchase my own rain barrel i will be dressing it up just like mrs. valerie morris has. 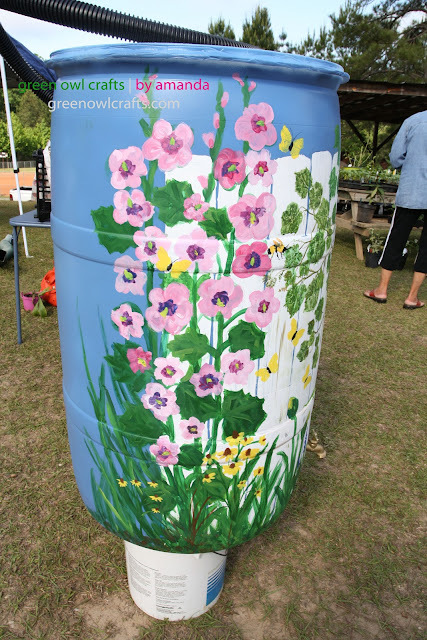 after speaking with mrs. morris she informed me that they have been talking about doing a workshop for the barrels which i think would be a great idea! especially to do at the schools. 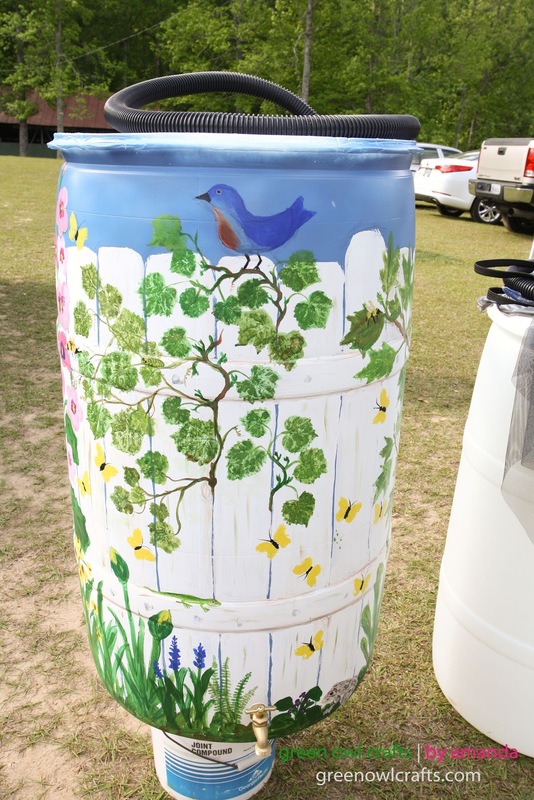 this project steams from the alabama rain barrel project. 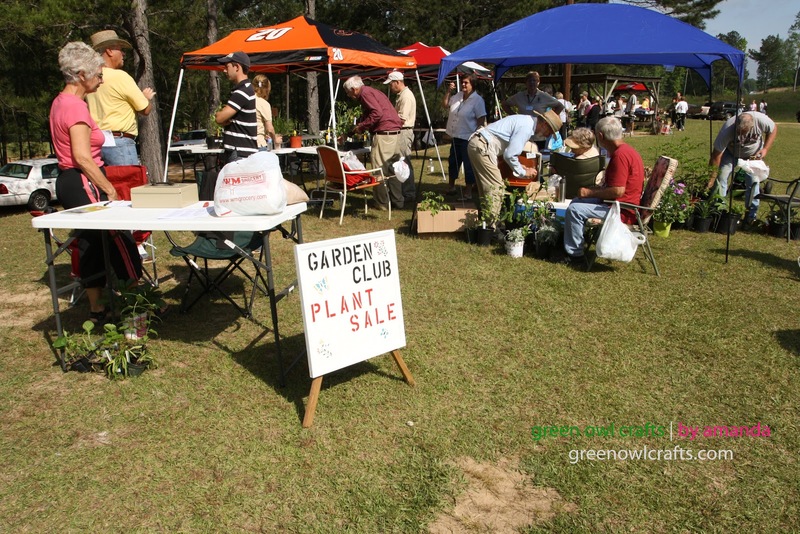 this site has full details on how to build one yourself...OR you can just contact tom garland (lake wedowee property owners association chairperson) to purchase one locally. 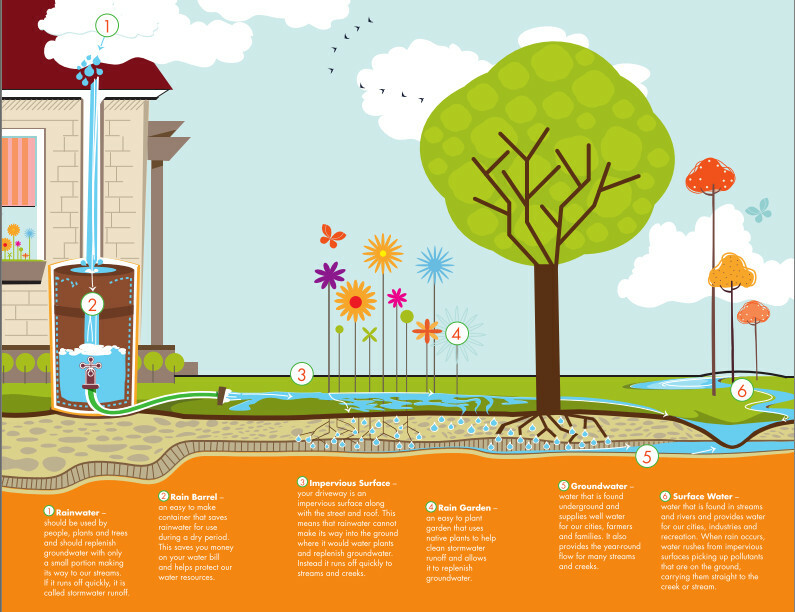 •Will you place the barrel under an eave, downspout or roof valley? •How will you use the water? Via hose, soaker or watering can? •If you are using a hose, where are you transferring the water to? A garden, shrubbery area or lawn area? Nearby or at a greater distance? •Remember that transferring water greater distances will require more pressure. •Areas downhill of the barrel are easier to water than areas level with the barrel to water. •Will you place your barrel on concrete blocks to provide better pressure? The higher the barrel stands and/or the fuller the barrel, the better the pressure. •If you are placing the barrel on a deck, is the deck strong enough to hold a full barrel? A full barrel weighs more than 450 pounds. •Where do you want the overflow (after the barrel is filled) from the barrel to go?